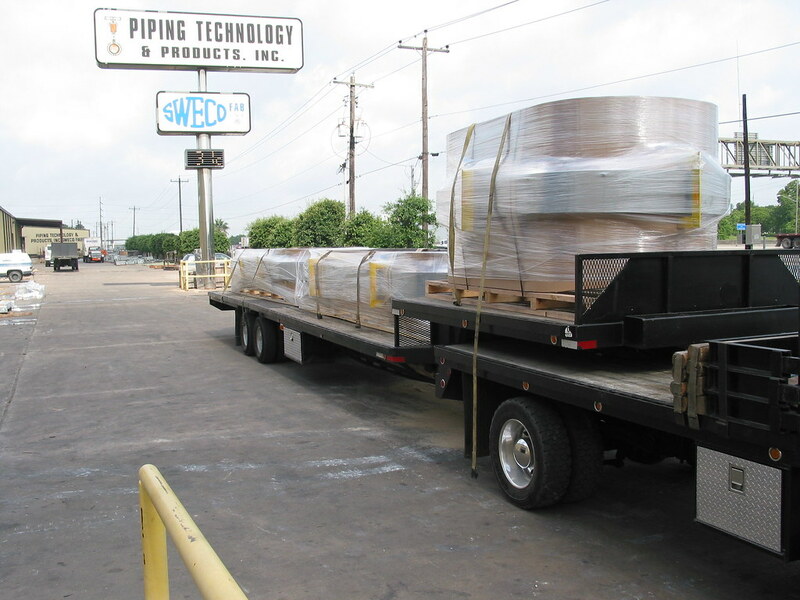 U.S. Bellows, Inc. recently manufactured three 12′ – 0″ x 8′ – 0″ rectangular expansion joints designed at 5 PSIG and 650 °F. 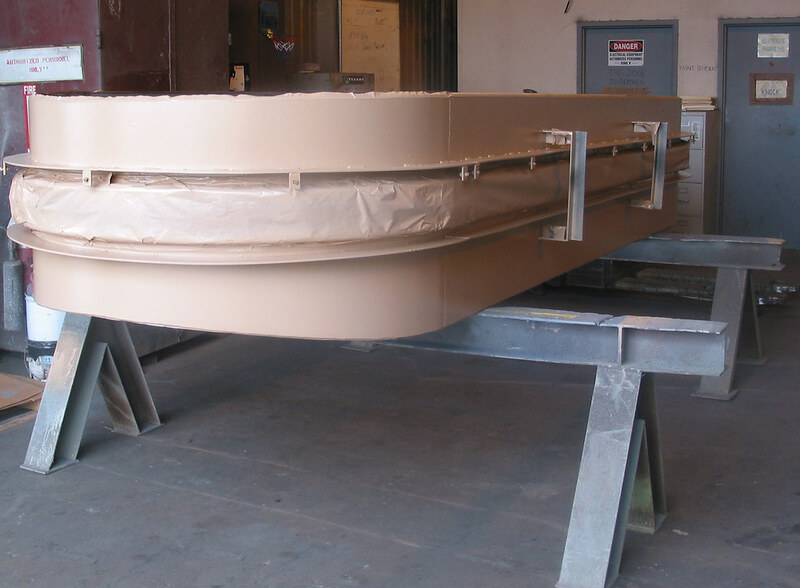 The expansion joints are fabricated with full radius corners which allow for an increased cycle life. 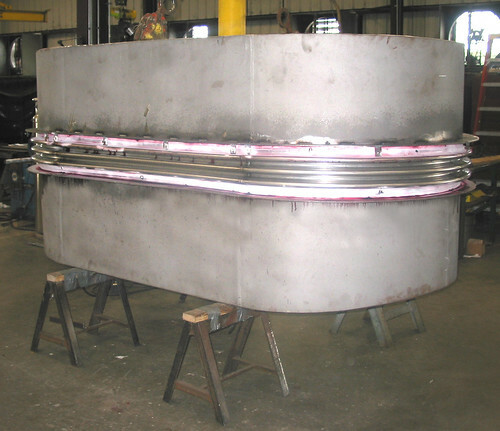 The bellows are formed from Inconel® 625 SB-443 GR. 1 and the rest of the assembly is fabricated from A516-70. The long seam welds were 100% x-rayed. A 100% dye-penetrant test was performed on the attachment welds.